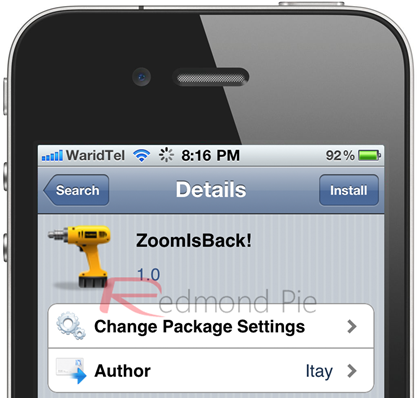 Despite the lack of (as yet), an untethered jailbreak, the Sn0wbreeze and Redsn0w tethered utilities – along with the SemiTether patch – have seen the Cydia community continue to thrive through to iOS 5. With so many tweaks available, it can be tricky to keep track of them and in particular, separate the good from the downright useless. We’ve featured many useful tweaks for those taking advantage of Apple’s latest mobile OS, and here we aim to round-up just a few of the gems thus far. OK, so admittedly, not everyone’s a fan of jailbreak Messiah Saurik‘s customization utility, and of course, it’s not new either. 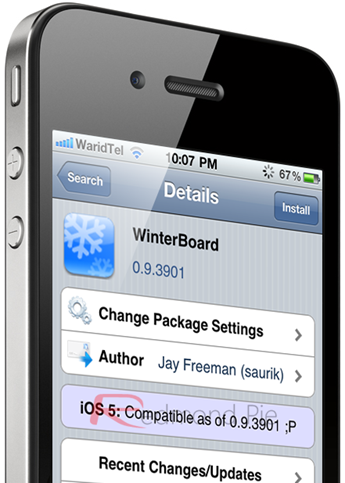 WinterBoard, which has recently been updated for iOS 5, allows you to change the color/look/theme of just about any part of your device. The pros? Well, you can achieve some great color schemes and set your device apart from the rest. Unfortunately, WinterBoard has to carry the can for some outrageously tacky themes (as seen in many YouTube tutorial videos), so our advice is, by all means use WinterBoard, but stay classy. More here. 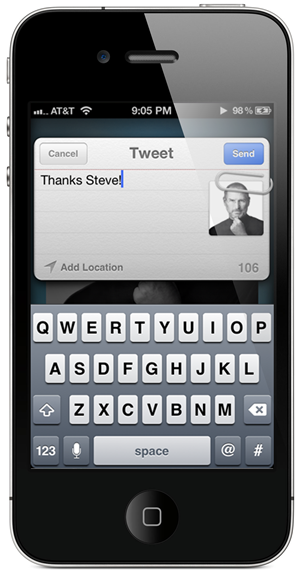 Latching onto iOS 5’s built-in Twitter API, FastTweet is a no-frills tweak offering the tweet, the whole tweet, and nothing but the tweet – no matter whereabouts in iOS you may be. Often, apps that set out to be simple wind up complicating that mission statement by adding a bunch of unnecessary extras. FastTweet, living up to its name, is the quickest and easiest way to send out your ‘140. For further detail, check out the full post here. Change is often a good thing, particularly when talking about software. Having said that, not every update made by the fruit company has been met with Siri-like applause – particularly the decision to omit the sliding zoom feature found in iOS 4’s camera app. While it’s not a big deal, if you’ve become accustomed to the sliding zoom (these things can happen when you’re waiting near-on 16 months for the next installment), then you can easily revert back to your old ways with this nifty (free) jailbreak tweak. This list just wouldn’t be kosher without some form of Siri inclusion. 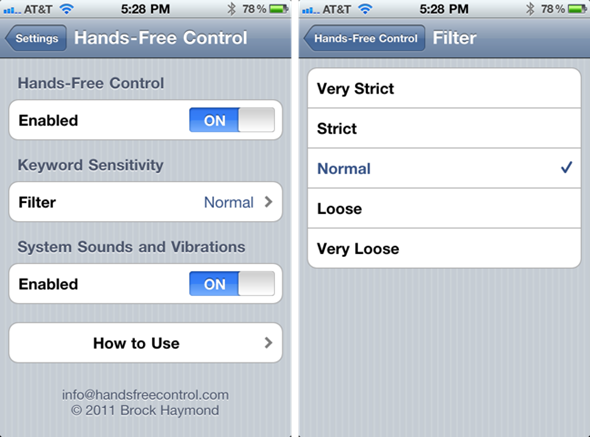 The much-lauded voice-recognition secretary has certainly impressed many iPhone 4S users thus far. This particular tweak allows Siri to be fired up by voice, and works for devices to which Siri has been ported, since the iPhone 4S has yet to be jailbroken. More information can be found here. This little tweak adds some sophistication to your lockscreen. Much like the coveted Notification Center, it allows you to keep updated with everything passing through your device without even having to Slide To Unlock. You can grab it by adding the repo http://www.intelliborn.com/isxbeta to your list of Sources in Cydia! 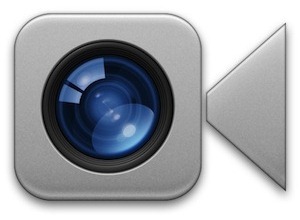 Along with the vast array of changes brought through with iOS 5, there were also many which didn’t indeed make the final cut. Rather than spend the time meticulously removing said features, the Cupertino company disabled them for removal at a later date. 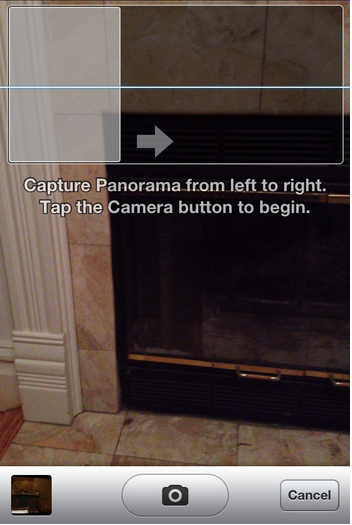 One such feature was Panorama mode for the Camera, which allows you to take 360-degree snaps – perfect for those beautiful landscape shots (or, of course, getting a rounded view of your living room). Whilst there is a way to enable it without jailbreak (located here), the Firebreak tweak is the jailbreaker’s way to unlock this feature. See this post for further details. For some reason, Apple also decided to omit its tested FaceTime Over 3G feature, which makes its face-to-face chat feature a whole lot more useful. If Apple was a carrier (as Jobs would have liked), then preventing users from overspending their 3G allowance may have been a priority. Anyhow, as with the Panorama tweak, it can be enabled by following a few simple steps, which we’ve outlined in full here. 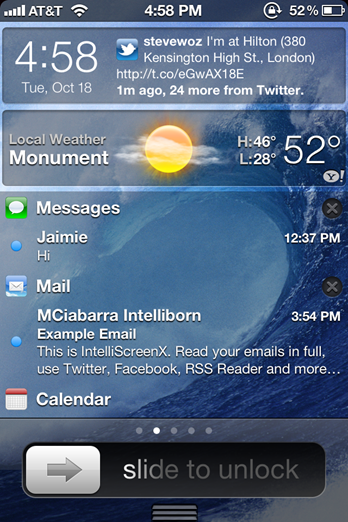 You might also want to check out our other tweak-based post, which gives you a handy bunch of the best iOS 5 Notification Center-specific tweaks. Let’s hope that the Cydia community continues to plug away and come through with useful tweaks to fully take advantage of iOS 5. 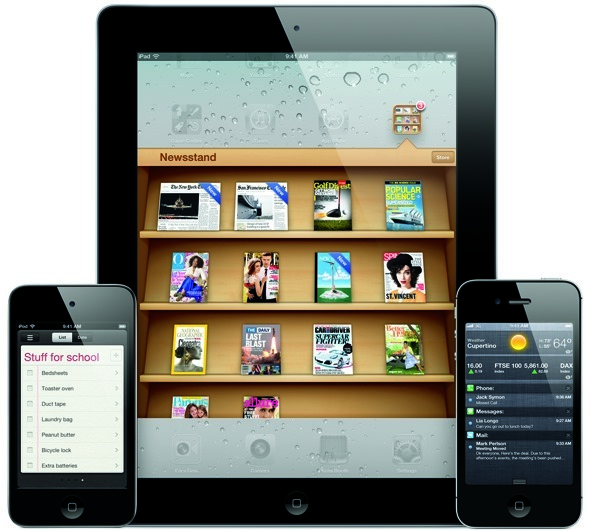 With the Siri-enhancing release of iOS 5.1 seemingly not a million miles away, we may not yet be even close to seeing what iOS 5 could really be capable of.